I had to express my opinion in response to Hope Holland’s article [printed in February 2011 and online at equiery.com/archives]. How sad that so many horse people equate a living breathing being as being “disposable” like old sports equipment. The very “vehicle” that takes show and race people to the money, trophies and prestige [is] discarded like a bag of garbage and without a second thought. Sorry to say, [but] if you sell a horse at a sale to a killer buyer you ARE cramming that horse into that cattle truck, plain and simple. The very people who use the killer sale as a means to dispose of their horses because “euthanasia is just so expensive” think nothing of spending $500 or more on a show hat or have made money from the very animals they discard so callously. The New Holland sale is full of ex-race and show horses. Rather than reopening the slaughterhouses, how about opening sites offering low-priced humane euthanasia and disposal. Might this be a better option? I do not think providing food, shelter, vet care and exercise is “unreasonable” in any way. As a matter of fact, it is the law and not doing so constitutes cruelty and neglect. If you cannot provide such, whether it be at your own place or at a boarding facility, do not have a horse, ever. Owning an animal costs money and if you cannot or are unwilling to take on the costs, find another hobby. Overbreeding is the reason for many of the unwanted horses. Breeders who breed for bloodlines only and not for disposition and usability are at fault. Breeders who breed mares back on the foal heat year after year and then discard them in the killer pen when [the mares are] no longer able to reproduce are at fault. While the “horse industry” is involved in the rescue business, mostly it is handled by private citizens and volunteers. How many breed associations are directly involved? How many breed associations have set up their own breed rescue or retirement farms? The organizations within the horse industry that are so pro-slaughter are the very same that make money from the overbreeding in the first place, i.e., the breed associations and the vets! As for America’s wild horses, they are removed from the land and placed in feedlots to satisfy the cattle industry who cannot seem to share the public range lands they use for little to no fee. If the wild horses were left on the range to live out their lives the cost would drop considerably. In closing I find the attitude expressed in this article most disturbing. If this is how most “horsemen” think I am glad I am not associated with such. My friends, my husband and I consider our horses part of the family. Among us, our backgrounds vary, but not one of us is wealthy by any means. Our horses range from a trail-ridden Draft cross, to a registered Paint show horse. We have all been touched by the poor economy, i.e., job loss, wages cut, client loss, etc. We are responsible horse owners. We take care of the animals that we are so blessed to share our lives with and enjoy. Horse ownership is a privilege and I feel sorry for those who would think otherwise. 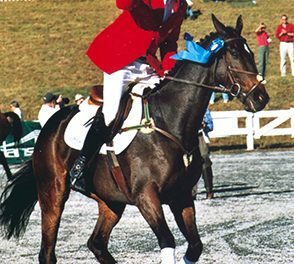 Publisher’s Note: There are many associations, including breed associations, who are actively supporting initiatives and efforts to home unwanted horses and to find second or third careers for horses originally bred for something else. The Equiery hopes to hear from some of these horse industry organizations.